Many wines can benefit from a little sprucing up before they’re poured into glasses and made vulnerable to the ooOs and Boos of public opinion. Ultra-premium wines can fall magnificently flat if care isn’t taken during the final details of service, and a rustic wine plucked from the shelves of a local supermarket can hit some unexpected high notes with just a little bit of prep backstage. Whether you’re popping a questionable bottle gifted by a dinner guest or have pulled one of your favorites from your cellar, sprucing up the experience in the final moments before tasting requires a bit of knowledge, creativity and gumption. Here are some tips and tricks to spiff up any glass of wine. Wine aerators are quickly becoming popular wine accessories. These hand-held contraptions provide the same benefits of a traditional decanter, minus the lag time. In a pinch, when decanting would simply take too long, pouring wine through an aerator can relax the wine and open up the aromas in just a matter of seconds. There’s no worse wine catastrophe than wrenching up a corkscrew only to realize the cork disintegrated on contact, leaving behind a slew of floaty bits in the bottle. Rather than fishing out the floaters with your pinky finger, pour the bottle through a coffee filter and into a decanter or beverage pitcher. Once all the particles are caught in the filter, toss the filter in the trash and serve the wine. 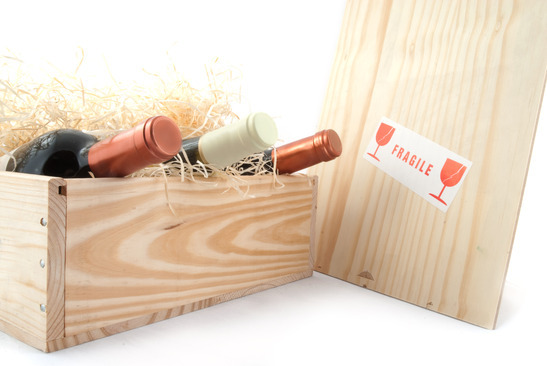 Do this all backstage, and no one will even know you neared the brink of wine disaster. In certain corners of the world, Argentina in particular, soda water is added to dry red table wines to lighten up its otherwise tannically aggressive qualities. Though diluting a premium wine with carbonated water is downright shameful, discount wines can sometimes benefit from an add-in. Fanta, Coca-Cola, milk and cantaloupe have also been favorite mixers for humble house wines. Just keep in mind the more rustic the wine, the more drastic the creative measures that can be used to spruce things up a bit. Sure the bubblies, whites and rosés benefit from being chilled before serving, but what about the red wines of the world? Make room for a bottle of red wine in the refrigerator, because the jury has changed its mind. Unless you have a wine fridge or cellar, it’s best to lightly chill red wine just before service. That means between 53° and 63° Fahrenheit for light-bodied reds, and 64-70°F for full-bodied reds. The bottle should feel slightly cool to the touch. How exactly do you drop a wine’s temperature in a pinch? Keep a handful of frozen grapes in your freezer to use as an ice cube substitute. Using traditional ice cubes in your glass will quickly drop the temperature, but will dilute the experience in the process, leaving behind a sort of sad swill of wine water in the bottom of your glass. But grapes – whether red or white – won’t affect the wine’s flavor and won’t create a watery mess, not to mention everyone will enjoy a tasty treat when the wine runs dry. All the same, this tactic is best reserved for average table wine, not the top-shelf variety. Rather than sticking (and forgetting) your white wine in the freezer to bring it down to the proper serving temperature, use an ice bucket. Fill the bucket or a large pitcher, with water and stir in 1/8 cup of salt, and position the bottle right in the middle. The salt will bring the water down to a lower temperature, chilling the bottle faster. In five to ten minutes, your bottle will be ready for service. Occasions that call for a glass or two of wine – rather than a trip to the bottom of the bottle – can benefit by the use of the Coravin. The Coravin is the newest gizmo on the wine scene, and allows you to extract wine from the bottle without removing the cork and without tainting the wine that remains behind. That means no more leftover wine going to waste, and every glass tastes as good as the first. Finally, pay credence to the importance of serving your wine in a quality wine glass. Choose glassware appropriate to the wine type. Red wines generally are served in a glass with a larger bowl, sparkling wines in a flute that exposes little surface area, and whites in a smaller glass with a narrow opening. The shape of the glass affects how the aromas are concentrated, how the wine is distributed across the palate and how savvy the wine host or hostess is perceived. There’s a reason wine is rarely sipped from a Solo Cup. Whether the wine requires a full-blown soda water makeover, or simply begs for a slight temperature adjustment, the final details before service can make all the difference. After all, even the finest among us require a sprucing up from time to time. What other wine tips do you have to make each glass taste its best? About the author: Madeline Blasberg is a Certified Wine Consultant currently working as the Official Wine Commentator & Reviewer for Etching Expressions. She has spent time living in Mendoza, Argentina where she was surrounded by wine, both personally and professionally. Stemless vs. Stemmed Wine Glasses: Which Glassware is Right for You?